The elastic composite cylindrical roller bearing is a new type of bearing designed with polytetrafluoroethylene filling in a deep hole hollow roller. This design can improve the stress concentration and also performance of the bearing. 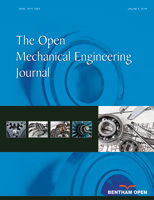 A study was conducted to parameterize the deep hole structure to obtain its design variables, the angle a and radius c by studying the influence of the design on stress concentration in elastic composite cylindrical roller bearing edge; to determine the BP neural network sample data using orthogonal test and finite element methods; to establish mapping relationship between the design variables and the maximum stress by BP neural network learning algorithm and to obtain the objective function required for structural optimization of genetic algorithm. The study attempts to optimize, search and calculate the most fitting structural parameters of elastic composite cylindrical roller by genetic algorithm with NU318E bearing as the optimization object and obtain the values of optimal design variables as a = 48.68° and c=9.67mm. The work also includes minimization of the comprehensive value of the maximum contact stress and the maximum equivalent stress of the edge and elliptic zones of elastic composite cylindrical roller after optimizing and increasing the contact fatigue service and bearing capacity of the bearing. The optimization procedure and method presented in this paper can serve as a useful reference to the optimization of structure for other elastic composite cylindrical roller edges. Keywords: BP neural network, contact stress, edge effect, elastic composite cylindrical roller, finite element, genetic algorithm, new type cylindrical roller bearing, stress concentration. © Qishui; et al. ; Licensee Bentham Open.